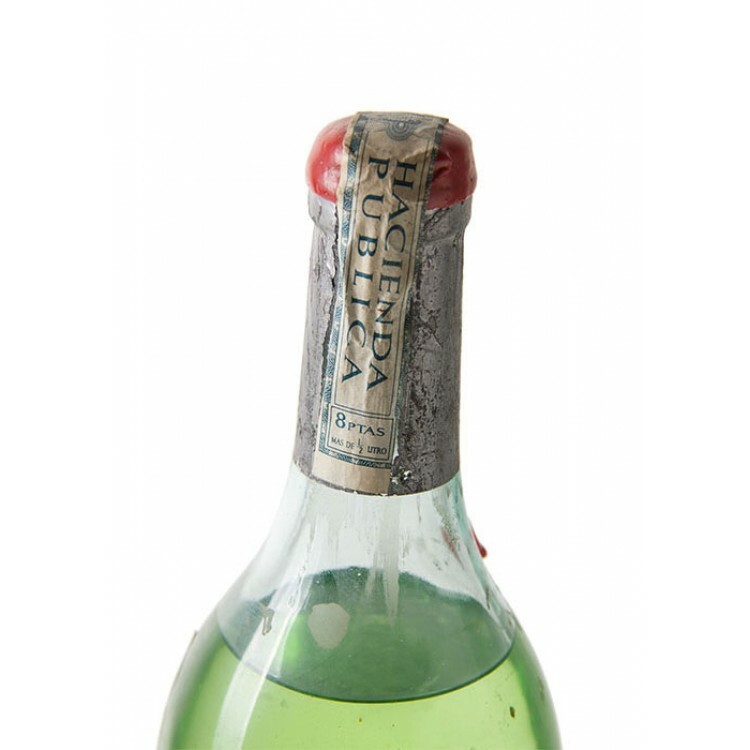 SOLD: Montana is a Spanish Absinthe, the bottle we offer for sale is from the 1960's. The Montana distillery is still active but sadly they switched from distillation to oil mixes. 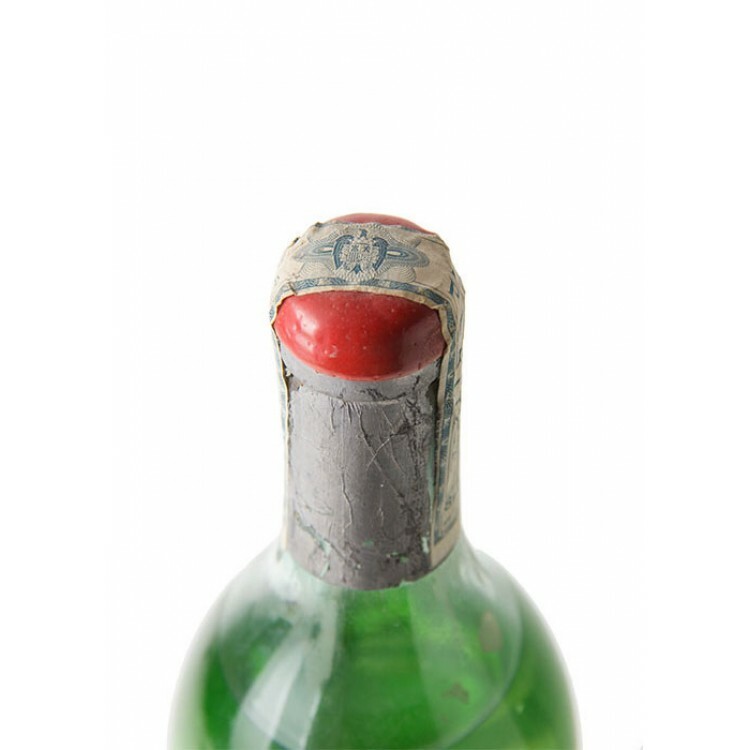 The Absinthe bottle we sell is still a distillate. "This one was definitely a surprise, and I can safely say, I am very sorry that the Montana distilleries have given up the distilled absinthe, and turned to oil mixes instead. This was a very good absinthe. Not the best of the vintage ones, but very good. I'd actually say, even better than the Pernod Tarragona. 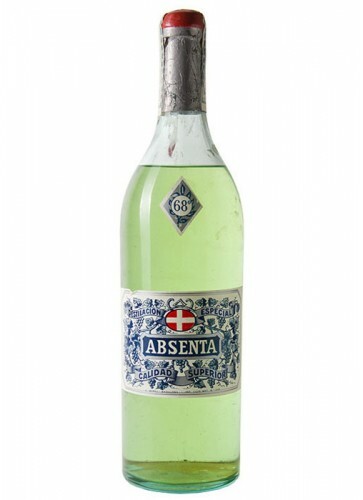 When Pernod moved its production across the border to Tarragona, Spain, after the ban in France, they tried convincing the spanish distillers, that they should stop absinthe production. However, the Distilerias Montana didn't care. They kept producing, and they still do today. A wise choice, I say. Upon smelling it, it brings a nice floral bouquet, with the anise quite dominant, but leveled with the freshness of citrus, as always in the spanish absentas. The citrus is not at all as harsh as in many of the modern absentas, but it is there. There is a slightly detectable bitterness, but it is very nicely balanced. Tasting it neat gives a nice full bodied mouth of a good blend of herbs. It does have quite the heat from the high degree alcohol, but that dissapears after a while and bring out the great taste of a very good absinthe. Adding a bit of water to it, produces a thick fine louche. The smell of the anise mixing with the bitter wormwood fills the glass, and it is very good. The taste smoothens into a really good, easily enjoyable aperitif. 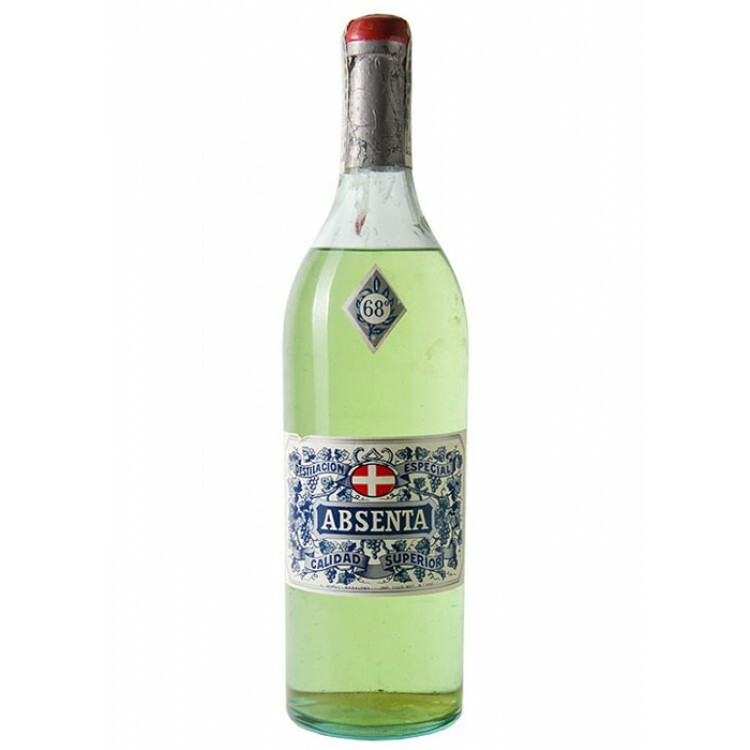 As I said, this is a very good absinthe, or - absenta, and it is just a pity that the modern Montana, although quite nice, is not as good. At the time I sampled this one, Montana was on the virge of releasing a new Montana 68, which I have yet to try. It would be great if they actually turned back to their old, original recepy, but I take it they still use oils to produce a cheaper drink. Too bad. This one though, was mighty fine, and the one that surprised me the most. 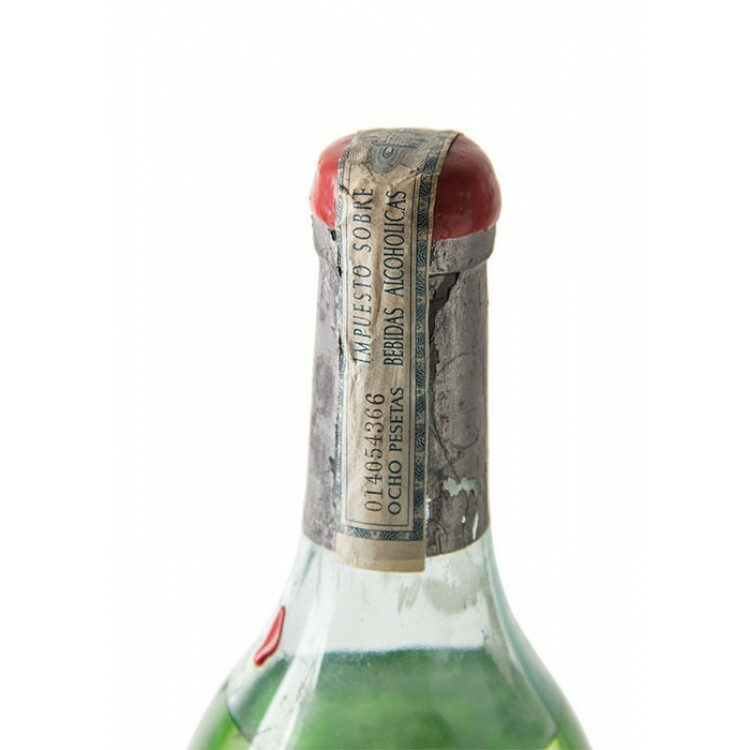 I'd love to get hold of a bottle, and I wouldn't hesitate drinking it."